Day 272. 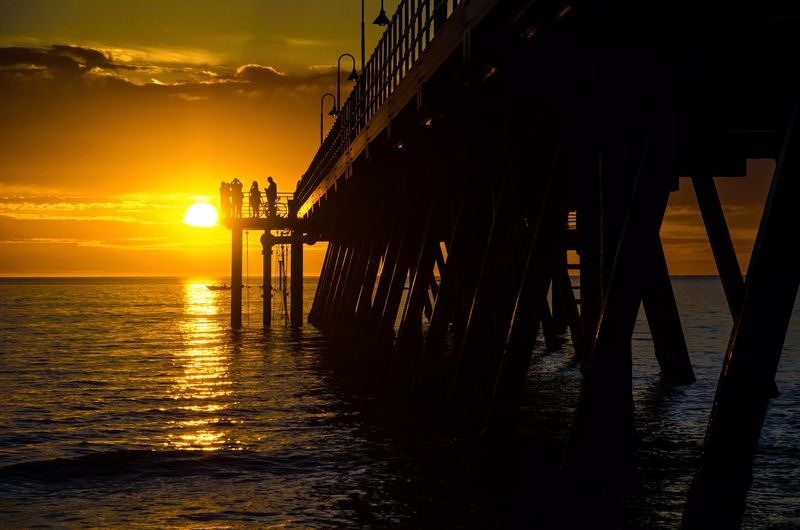 For our last night in Adelaide, Linda and I visited the seaside suburb of Glenelg. I took the camera and got a few snaps as the sun went down. I thought this shot turned out pretty good. It was taken in RAW format and got a few small tweaks in Adobe Lightroom, but this is more or less how it came out of the camera. Day 270. 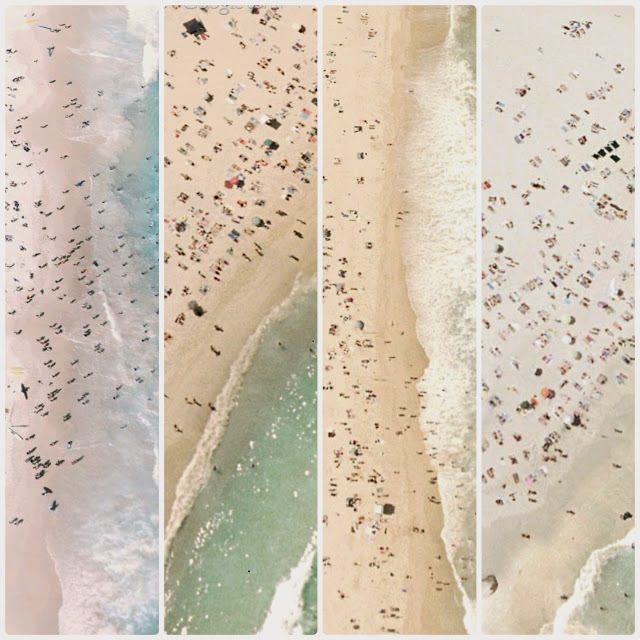 I found these satellite images on Google Earth. These are aerial shots of some of Sydney's most well known beaches... Bondi, Bronte, Maroubra and Tamarama. Dropped into Diptic and arranged for today's daily create. Day 268. Just messing around in Scratch again, I created this silly little animation of my head on another sprite's body. Just press the space bar to start the silliness. There are a number of animated bits that all run in parallel. Day 267. 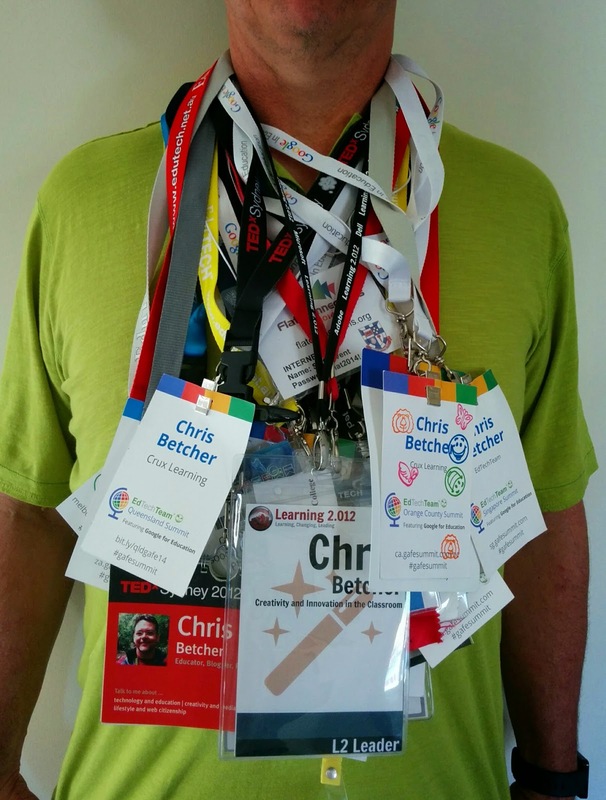 So I go to a few conferences apparently. Cleaning the house today I found these hanging from the back of my office door. What does this create? Over time, I think a changed mindset. Day 266. Today was the second day of the Sydney Google Teacher Academy, and there was a sizeable contingent of New Zealanders there. I offered to take a group photo for them, and deliberately took this sequence of shots, suspecting that Google+ would automatically turn them into the animated gif file, known in G+ as an AutoAwesome. My suspicions were correct and it did, and here is the result. So is this my creation? Or just a random thing made by a Google algorithm? Day 265. During the Google Teacher Academy today I set up my GoPro camera at the front of the room and let it take a shot every second to create this animation of our working space during a short break in the event. This set of about 400+ images was imported into Photoshop CC as an image sequence, resized to a more manageable size, cropped and exported as a GIF. Day 264. Arrived back from Melbourne tonight and used the Hyperlapse app to capture a stopframe animation of my walk from the gate back out through the exit from the terminal. Day 263. This odd shape was created using the iOS app Forge of Neon. 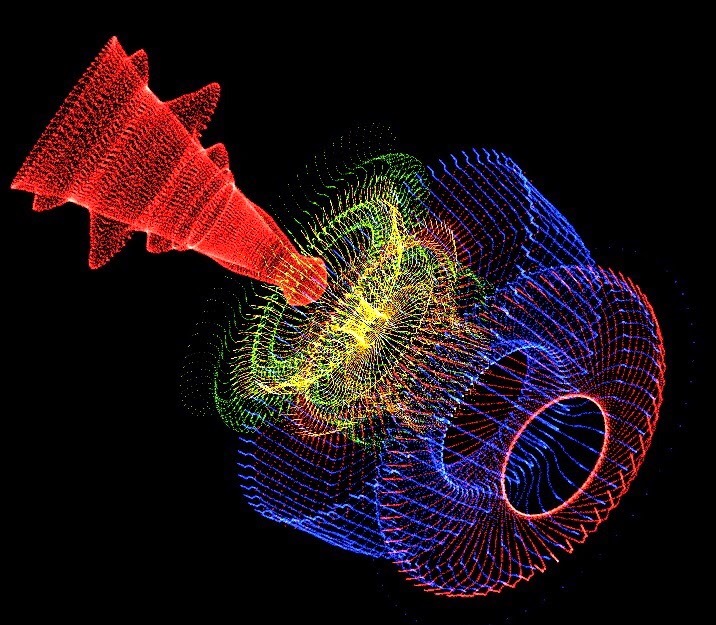 It's a strange app that draws symmetrical, radial 3D shapes out of stray lines. Odd but captivating. Day 262. 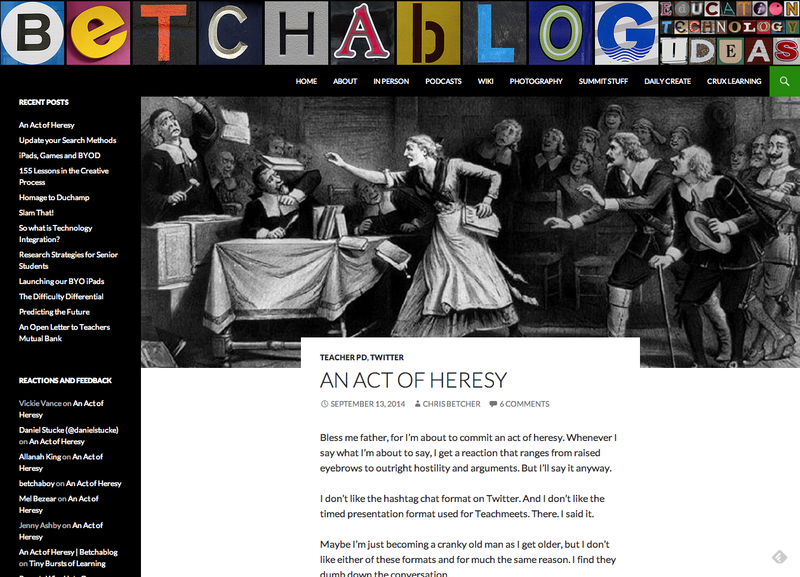 I used to teach people a "quick and dirty" way to add header images to a Google Site. I've since decided that there is a better way to do it... it's fiddlier but it does give a better result. I rejigged a bunch of my notes for my Summit website, and replaced the video tutorial with this one I made. Day 261. 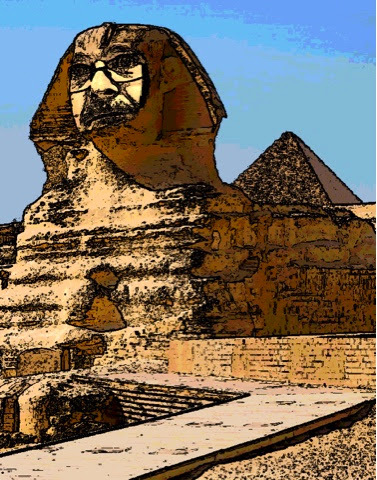 Just a silly image of my head superimposed on the body of the Sphinx. Funny because I live in a street called Sphinx Avenue. Image made with MegaPhoto+. Day 260. 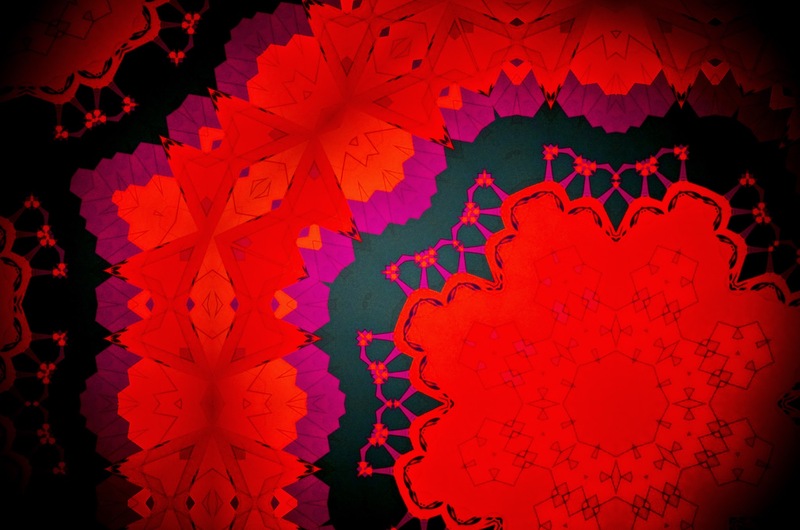 This pattern was made by first modelling a 3D shape using an app called Forge of Neon, which is pretty interesting in its own right. But then I took the 3D shape into MegaPhoto+ and passed it through the kaleidoscope filter to mirror it and split it up, then applied another couple of filters to explore a number of different effects. 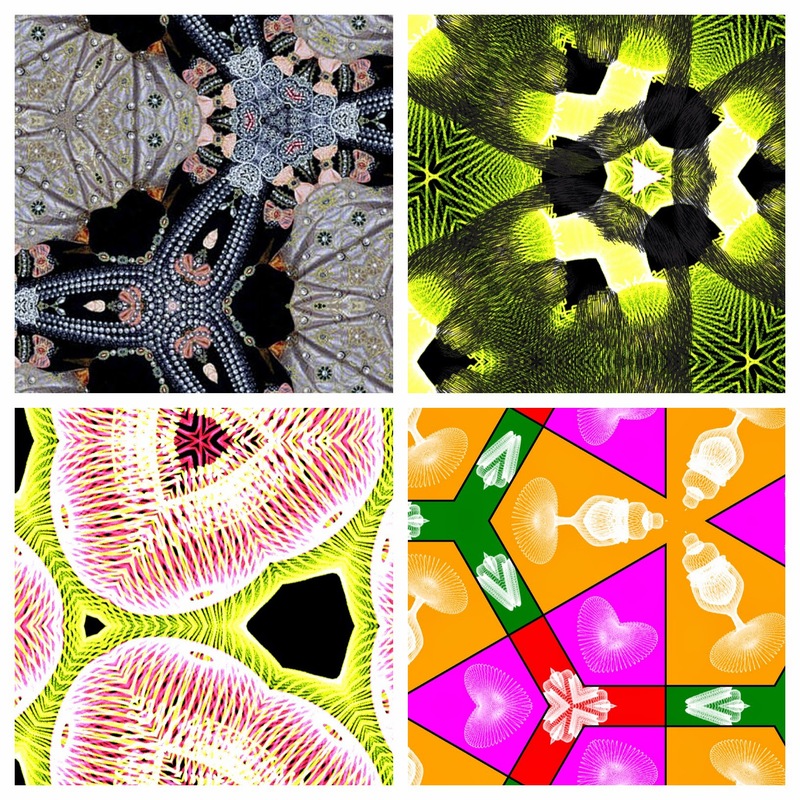 I liked the diversity of them so I used Diptic to create this grid of my four favourites.ts fascinating that these were all created from the same original 3D image. Day 259. I was in an iPad art workshop today with the yoda of iPad Art herself, Cathy Hunt. Cathy had a ton of interesting ideas as always, and really got me thinking about the notion of iPad workflow, or app smashing, or just applying effects in multiple layers. 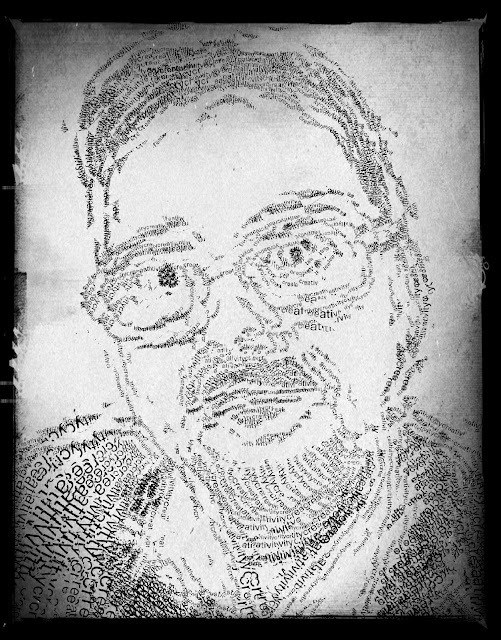 We had a go of making a selfie, so this one was taken with the camera, drawn and traced using Type Drawing, then had several effects put on it using Megaphoto+. Day 258. I shot a video of this little toy Android the other day, then used the 5Second app to turn it into a looping (or is that limping) GIF file. Keep marching little Droid, keep marching! Day 257. 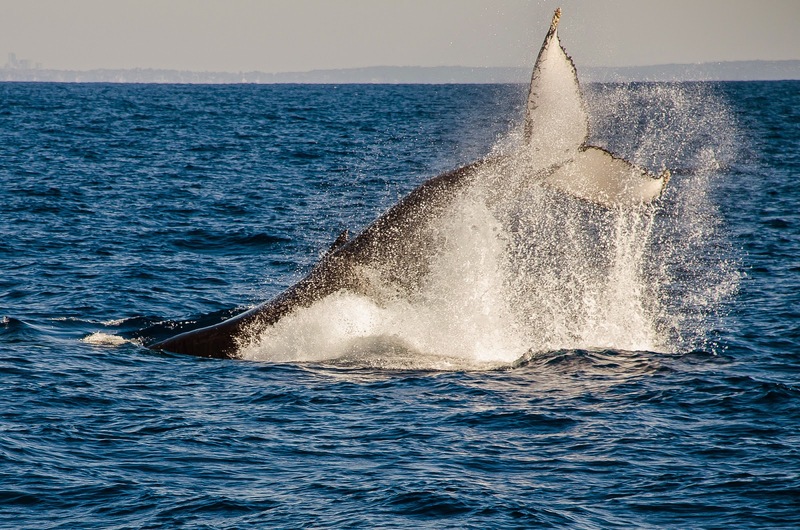 Today's daily create is a couple of photos I took when Linda and I went whale watching today about 15 nautical miles off the Sydney coastline. 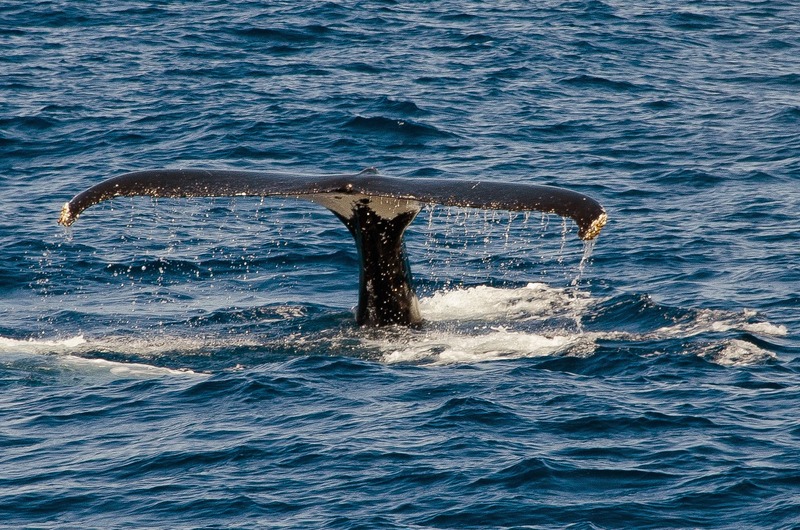 We managed to find this huge humpback playing in the waters on her way back to Antarctica, and although she was playing hard to get she did come up to the surface a couple of times and I managed to snap these photos. Shot on a Nikon D7000, post processing in Adobe Lightroom. Day 256. 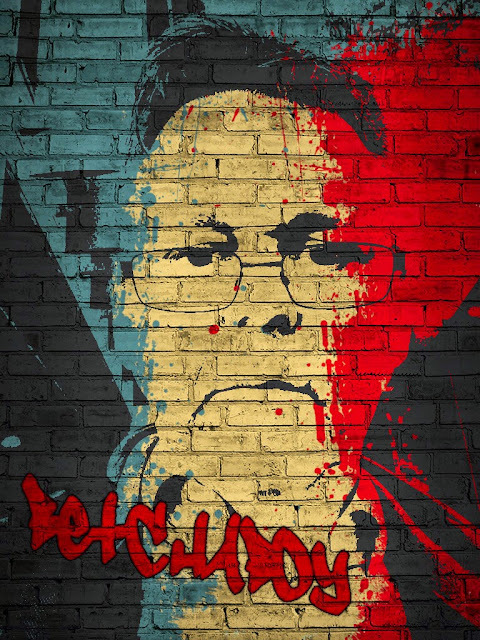 More playing about with Android App Inventor today and I made another very simple (and when I say very simple, I mean VERY simple) app called ColourVoter. It just has three buttons - Yes, No, Not Sure - that turn the screen different colours. The idea would be that if you were presenting an idea to a group of people and they all had the app, you could check for understanding by asking them to click the appropriate button and hold their phone up. At a glance, seeing lots of green means they get it, red means they don't get it, and orange means you have some more explaining to do. Day 255. I have to admit that this Daily Create project has really caused me to spend less time on my main blog. I'm ok with that, although I do miss taking the time so sit and write whatever is on my mind over there. I do think that writing long form blog posts is still a creative act so I'm cross posting a link here to my main blog to a post I wrote today and claiming it as today's daily create..
254 - Where does the Thyme go? Day 254. While cooking dinner last night I was just about to chop a bunch of thyme. Before I could, Linda moved the bunch to the other end of the bench, but as she did, it left a few loose remnants of the herb laying on the benchtop. 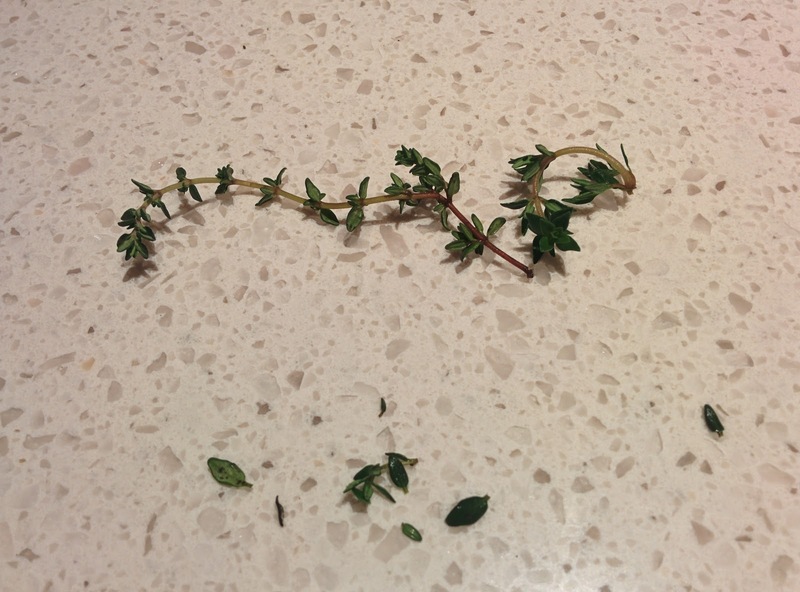 This leftover evidence of where the thyme once lay on the kitchen bench made me think of the very bad pun you see in the title of this post. Where does the thyme go? Day 253. 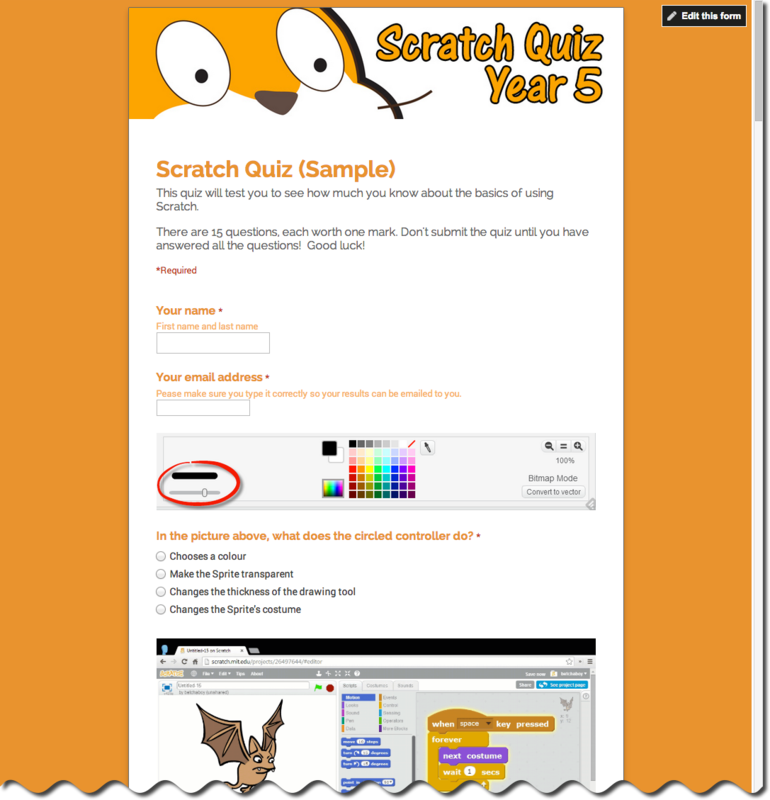 I've been teaching a lot of Scratch to my Year 5 classes lately and the teachers of those classes were keen for me to come up with some kind of assessment item for it. I haven't normally worried about assessing Scratch work because it always feels like something the kids want to do simply for the pure joy of learning rather than to earn a mark, but I came up with something anyway just to keep everyone happy. I would have liked it to be a purely practical task made in Scratch, but the marking and grading of that would have been rather impractical and far too time consuming. So instead I decided to create a 15 question quiz using the updated Google Forms and the Flubaroo Add-On script to make it self marking. If you know any Scratch, feel free to have a go of the quiz... this is a copy so you won't do any damage to my real one. I'll run the Flubaroo script on it later and send you a copy of your results. The new changes to Google Forms are just fantastic and you can now make all sorts of customisations and changes to the look of the forms. Day 252. I did another App Slam today with one of my Year 5 classes. I got the kids to get up and share an app, game, tool or tip they think is cool or useful in less than 2 minutes. The neat thing about doing app slams is that I always learn about some interesting tools I've not heard of. This image was made with an app called Graffiti Me, and was a first pass at using it. Day 251. One of the new Apple ads on TV features a band that makes music using an iPad app called iMaschine. I thought it looked interesting so I got the app and had a play with it last night on the flight home from Singapore. It's pretty cool and is a good example of what a musical instrument can look like if you allow the platform to be a tablet. Anyway, I wrote this little riff as I was just playing around trying to figure it out... it doesn't really go anywhere musically, it's just an experiment. The app has a pretty unique UI so it isn't that intuitive to learn, but once you get the idea of it it has tons of possibilities. There is plenty more that can be done with it, I just need some more time to play. 250 - What a Relief! Day 250. 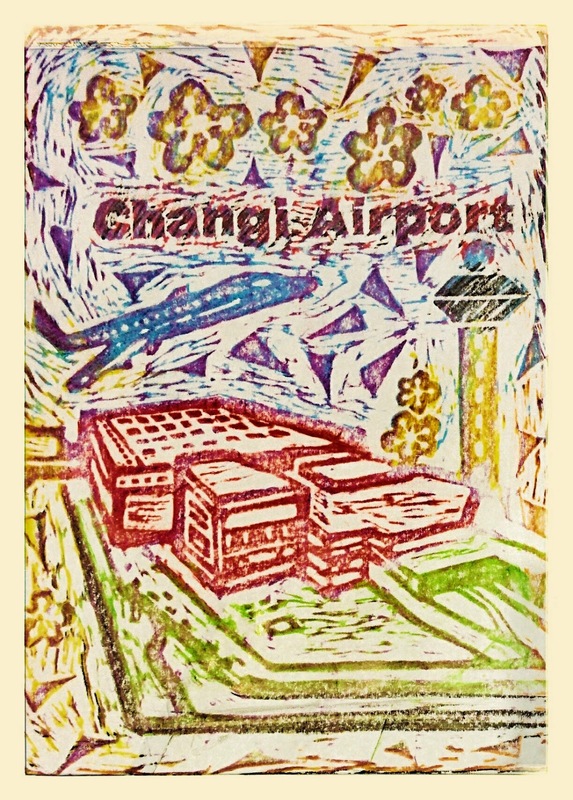 As I was waiting at Changi Airport tonight I found an activity table in the terminal, mainly designed to keep the kids amused, where you could use pieces of paper, crayons, and a set of bas-relief wooden frames to make your own artwork. Just place the paper over the wooden block and rub with a crayon to create a woodblock relief artwork. Cool. As I was finishing my artwork I got paged to the information desk. I went across to see why they wanted me and it seems that I left my passport in the bathroom 10 minutes before and someone had handed it in. Getting this back was a much bigger relief! Thank you kind stranger! Day 249. Hyperlapse is a type of stop frame animation that uses some additional techniques to remove camera shake, manage the camera exposure settings and so on in order to make the motion smoother. 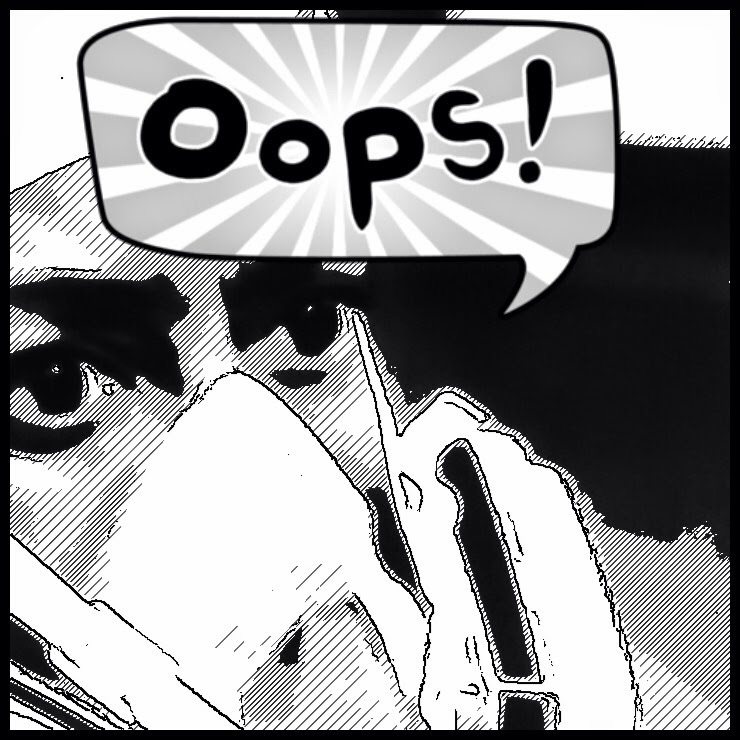 This was just a little sample I made to try it out. I think it would be interesting to shoot it from a bike or other moving object, rather than walking. Day 248. Out to dinner with good friends tonight at Chin Chin in Singapore, I made this short animation of the Lazy Susan turntable. Shot with a Nexus 5 using LapseIt for Android, then imported into Photoshop CC as an MP4 file, then converted to an animated GIF and exported back out again. Day 247. Flying from Sydney to Singapore today, those hours in the air are always good times to spend learning and exploring new ideas. 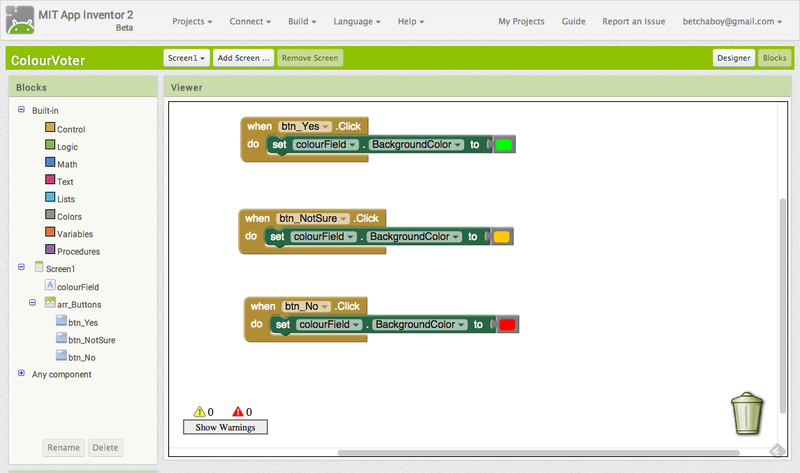 Today I built this little experiment in Scratch. Basically the mouse moves based on a random algorithm, and the cat tries to chase it. When it catches the mouse, the score increases by one and the time is noted, and tracked to record the longest time between catches. The times are then dumped into a data array list and collected. The cat and mouse move to a new random start point and start again. What I found interesting was that if you run the simulation for a while, (70 cycles in the example below) and then export the data out of the array, you can open it in a spreadsheet and graph it. When I did that and sorted the times from smallest to largest, the regularity of the curve was striking. As random as we think things might be, the scope of that "randomness" is fairly predictable. There are no real gaping holes in the times. The other interesting thing is that, while sketching and drawing are usually seen as the outlets for creativity, the amount of creative problem solving, trial and error and "what if" brainstorming that I do when I'm programming like this is far more intense. Day 245. Yesterday I showed you some little buildings and structures cards I made for my Year classes to do a mapping activity. Today's create is a video explaining how to use them. I'll be heading over to Singapore on Thursday for the EdTechTeam Summit, and I didn't want my Thursday class to fall behind the others so I made this video for their teacher to show at the start of the lesson so that even though I'm not there they can still get things done. Day 244. 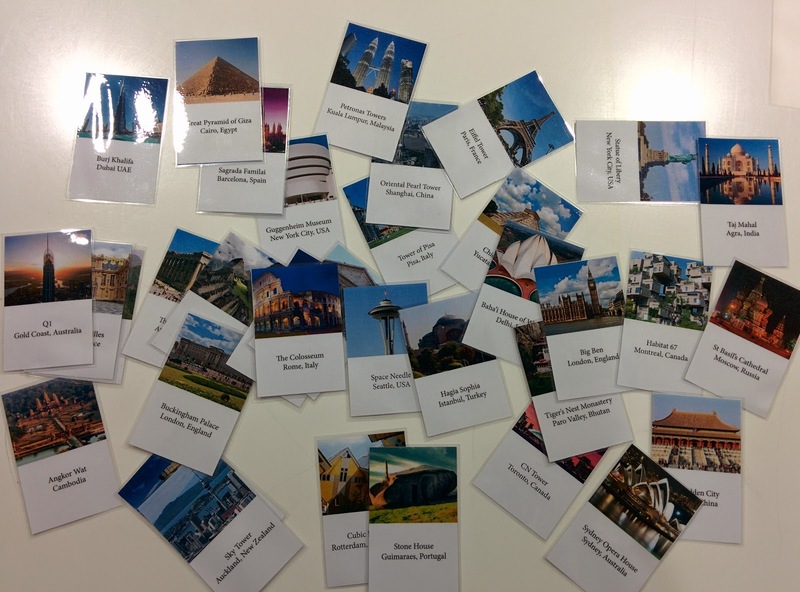 Our Year 3 classes at school are doing a unit of work on Buildings and Structures, and I wanted to come up with something for them that helped get a sense of a variety of places and where they can be found around the world. So I spent some time this morning making these cards. They were made in InDesign then printed out, cut up and laminated. The kids were randomly assigned a card for a building that they then had to find on Google Maps Engine Lite, mark with a pin and add some information to. The finished map is here and I think it's a pretty good effort for a single lesson of work by 8 year old kids. If you'd like a copy of the cards for use for your own purposes, you can download them here as a PDF.